The Ministry of Health and Sports and the Ministry of Education will work together to launch a special educative campaign as smoking and chewing betel quid are increasing among young people aged between 13 and 15. According to a survey conducted in 2014, 34 percent of men and 7.4 percent of women were smokers while 62 percent of men and 24 percent of women chewed betel quid. 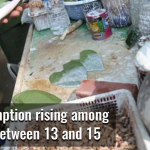 Again, the global youth tobacco survey conducted in 2016 showed that among youths aged between 13 and 15, 26 percent of boys and 4 percent of girls smoked or chewed betel quid. Under such circumstances, those relevant ministries are going to take educative measures by launching a special campaign. In Myanmar, use of tobacco and tobacco products increases day by day and their prices are far cheaper than other ASEAN countries. Despite increased taxes on those tobacco products, prices are still lower than neighbouring and ASEAN countries. Myanmar enacted a stricter law in 2006 to control tobacco use, but the country still has weaknesses in taking educative measures and action against law violators. From 1990 to 2011, Myanmar levied increased profit, income and commercial taxes on cigarettes and tobacco products. At that time 75 percent tax was levied on cigarettes, 20 percent on cheroots, 20 percent on various pipe tobaccos and 10 percent on Virginia tobacco. Revenue stamps were launched in 2017 to control tax evasion, smuggling and illegal sale of tobacco and tobacco products. From 2012 to 2014, the country significantly increased those taxes on cigarettes and tobacco products. At that time, 100 percent tax was levied on cigarettes, 50 percent on tobacco, 50 percent on Virginia tobacco and 50 percent on cheroots. As per the law of the Union Parliament enacted in 2015, large amount of taxes were imposed on cigarettes and tobacco products. Since then, authorities have been collecting 120 percent tax on cigarettes.